At Musicar Northwest, we believe that your car’s sound system ought to sound inspiring – and we believe you can tell the difference, without being any kind of expert. You know when music sounds good – even if you’re not quite sure how to get there on your own. We don’t think that you have to have a thundering monster from a reality TV show – your speakers don’t have to fill your trunk or require rebuilding your dashboard – but your car’s sound should do justice to your favorite band, stir your emotions, elicit joy, inspire new dreams, and bring back memories. In short, it should reveal the power of your music, while being properly integrated into your vehicle. There are two components to any project – design and execution. At Musicar, we start with excellent system designs – but that only gets us so far. What makes us special isn’t just our ability to draw up great plans on a whiteboard – it’s our ability to translate that plan into a properly-integrated reality. To us, proper integration means that what you see looks “factory” in design – and so does what you don’t see. Many of our systems are completely hidden, so photos don’t do them justice. – We respect the intention of the vehicle designers, and we don’t thoughtlessly eliminate functionality or utility. – Our visible system elements incorporate existing design cues – things belong. – We obtain or create matching upholstery, paint, and other finishes. We sometimes dye materials by hand for a factory match. Our Musicar Certified systems regularly use the original factory radio, and are invisible, as well as musical. We give you a thirty-day tryout on every single Musicar Certified Sound system installation. If you decide it’s not for you, we’ll put everything back the way it was – both your car and your wallet. 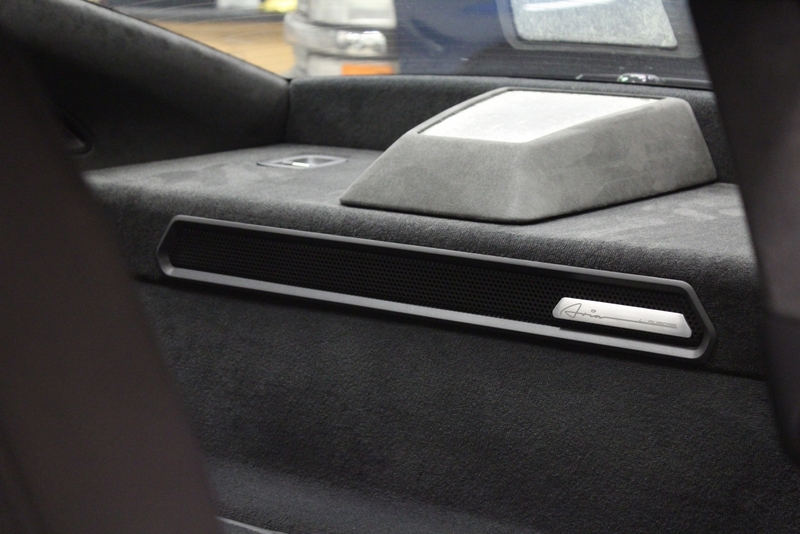 (Musicar Certified systems are available for many BMW owners outside the Portland area!) We also offer basic stereo receivers and full-custom, high-performance audio systems. We know many shops find certain newer premium cars challenging. Not Musicar Northwest – we are Portland’s experts on new BMWs, Porsches, Audis, Mercedes, Land Rovers, Lotuses, Ferraris, Maseratis – and other vehicles most shops rarely see. We also install CarPlay receivers, iPhone interfaces, high-quality Bluetooth cellphone handsfree systems, radar and laser detection systems, driver-safety “backup” cameras, security, remote start, and factory-look parking assistance systems – but great-sounding music is our passion. 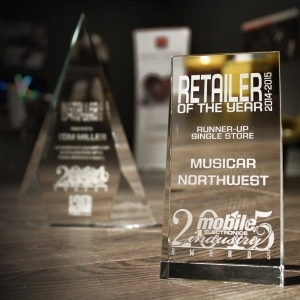 Musicar Northwest – Named one of the Top 12 autosound installation shops in the US three years running.